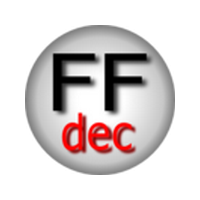 This program is called "SWF Decompiler". 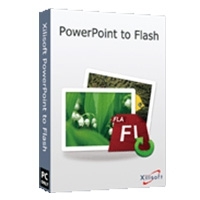 It is a powerful application for Flash designers, which allows to extract sounds, images, videos, shapes, frames, morphs, fonts, texts, buttons, sprites and ActionScripts with a single click, preview and edit decompiled SWF elements. 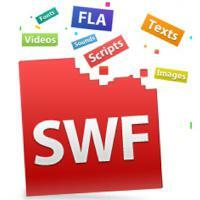 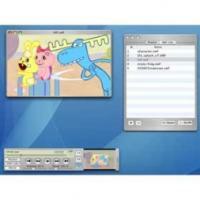 To the latest version added was a wanted feature of SWF to FLA conversion. Now with Flash (SWF) Decompiler from Eltima its also simple and fast to convert any SWF into FLA. 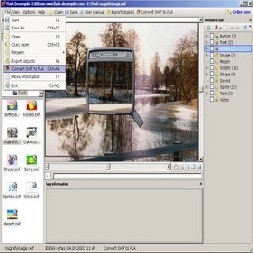 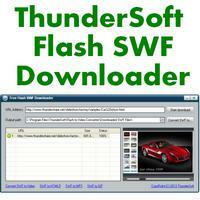 Flash SWF Decompiler gives power to Flash users to fully reconstruct original FLA file from a Flash movie. 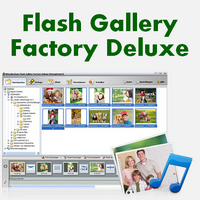 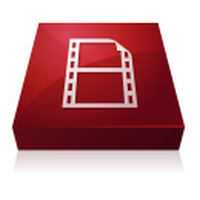 Easily browse your hard drive for Flash movies and add SWF files to quickly accessible Favorites folder. 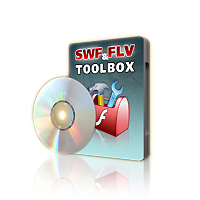 Flash SWF Decompiler will play selected items or show preview of decompiled SWF elements in a built-in Flash viewer.